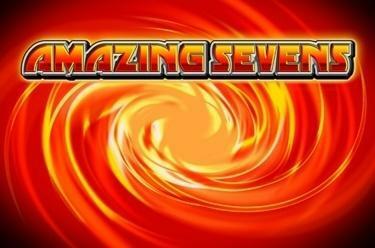 Play Amazing Sevens online for free now! 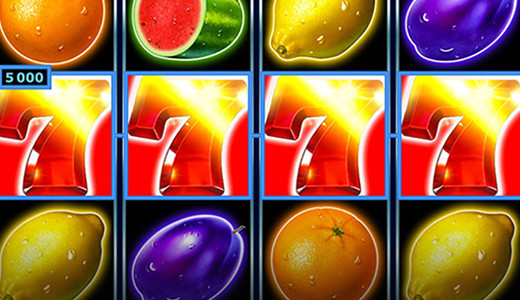 With Amazing Sevens oranges, cherries and friends are bombing around five reels with ten win lines. The most lucrative symbol is the red 7. The aim in Amazing Sevens is to line up five identical winning symbols side by side on one of the pay lines that are running from left to right. You win, if the star, the Scatter symbol, appears three, four or five times in any position on the reels. Moreover, seven free games are triggered. Only the 7 symbol lands during bonus rounds. If it appears 15 times you earn the progressive jackpot. The jackpot amount is calculated based on your stakes. There's a whole lotta shakin' goin' on the reels of Amazing Sevens: Lemons, plums and cherries are living it large. And the red 7 grants you the biggest win in the slot: if it lands 15 times following a spin you crack the jackpot. So grab some juicy winnings with Amazing Sevens!